The Ferplast Outdoor Cat Litter Tray combines innovation and design with easy use and spaciousneΒ. 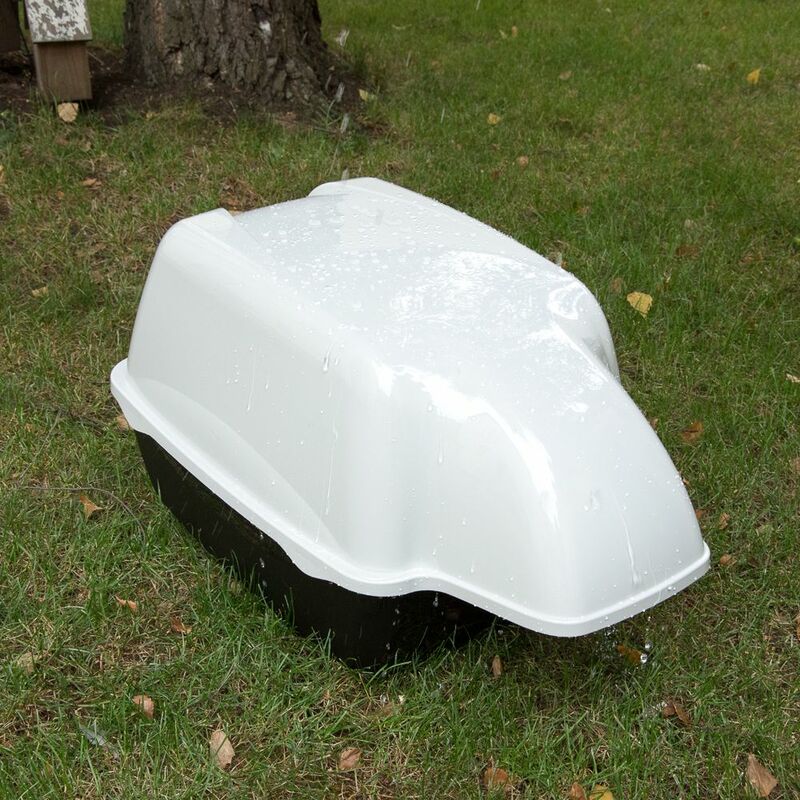 It has all the benefits of a traditional indoor litter tray but can be used outside, either on patios or other uncovered areas, as it is completely waterproof and the hood protects it from showers. The large opening allows even large cats enough space to climb inside. The tray is deeper than in an average litter tray, which makes it poΒible for cats to bury their faeces if so inclined. Ferplast Outdoor Cat Litter Tray at a glance: Innovative design: elegant in appearance and user-friendly Flexible: suitable for indoor and outdoor use Waterproof: the robust hard plastic outer shell ensures that no water or moisture gets inside Extra large entry: ideal even for large breed cats Deep, spacious tray: a species-appropriate place for digging and burying Colour: black (tray), white (hood) Material: hard plastic Dimensions: Total dimensions: 74 x 43 x 41. 5 cm (L x W x H) Inner dimensions: 45 x 31 x 40.5 cm (L x W x H) Tray: 55 x 42 x 20 cm (L x W x H) Entry height: 18. 5cm Entry opening: 26 x 21 cm (W x H) Roof entry: 26 x 19 cm (W x H).